We are pleased to announce that Robert Frame and Mike Nakano, the principals of Frame & Nakano, AAL, ALC, will be joining Cox Wootton Lerner Griffin & Hansen LLP, effective July 1, 2016. Mr. Nakano will join CWL as a partner and Mr. Frame will be “of Counsel.” Attorney Cynthia Farias will also be “Of Counsel” to CWL. They will all join CWL partner Normand “Chip” Lezy in CWL’s Honolulu, Hawaii, office. Frame & Nakano is the successor firm to Hawaii’s first maritime defense law firm. Mr. Frame and Mr. Nakano have maintained a strong practice in maritime defense for decades, representing clients in interstate, intrastate and international carriage of goods, vessel arrest, charter party agreements, maritime liens, general average, salvage, limitation of liability, marine construction litigation, passenger liability litigation, U.S. Longshore and Harborworkers Compensation Act, the Jones Act and marine insurance coverage disputes. In addition to maritime law, their practice has emphasized product liability defense (asbestos, machinery and equipment), trust and estate litigation, professional liability, premises liability and general personal injury defense. Mr. Frame, Mr. Nakano and Ms. Farias, along with Mr. Lezy, are licensed to practice before all Hawaii courts, federal and state, as well as the Ninth Circuit Court of Appeals and the U.S. Supreme Court. These additions give CWL substantially increased depth and allow us to better serve our collective clients’ litigation, transactional, and casualty response needs throughout the Western United States, Hawaii and the Pacific Rim. Our continuing growth is client-driven to respond to robust demand within our various practice areas. 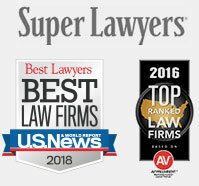 To learn more about the depth of our attorneys’ experience, practice groups and recent successes our clients have enjoyed, please don’t hesitate to contact us or visit us on the web at www.cwlfirm.com.